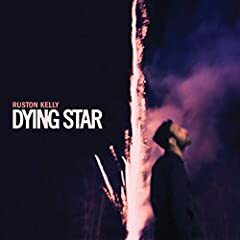 For my 1063rd review, I finally discuss how Ruston Kelly delivered one of the best debuts and country albums of 2018! 3:16 Actually it reminded me of Call My Dad by AJR…oops. This isn’t a debut album, though…? He released “Halloween” last year. Hey, Mark, If you loved this album, then I have a artist I think you’ll love. Her name is Kate Rusby, and she’s in the same vein as music like this. Me, personally, “Mockingbird” damn near made me cry at how good it was. Great review for a great album! Did Mark get a haircut recently? Oh wow! I just got home from a rave-party and i’m greeted by a 9/10? Will this end up as the highlight of the night? Hey mark. Can you make a video about grammy awards you thought of? Your predictions, Your pick. I know you don’t really want to do Grammy awards predictions or Recap video each year. Beside I would love to see it. Jon from ARTV and Anthony Fantano already did their Grammy awards Predictions and Recap/reaction already recently. What about you? Excellent review; appreciate the mentions of personal resonance. Phenomenal work by Kelly, though I wouldn’t say it’s better than Golden Hour, which covers far more ground than this. Oh, and “Faceplant” is a low-key standout here.